My addiction to tribal inspired nails has been burning for nearly a year. Flicking through a magazine, I notice the above picture in a nail art piece. Sure enough I began to fall in love with the design. 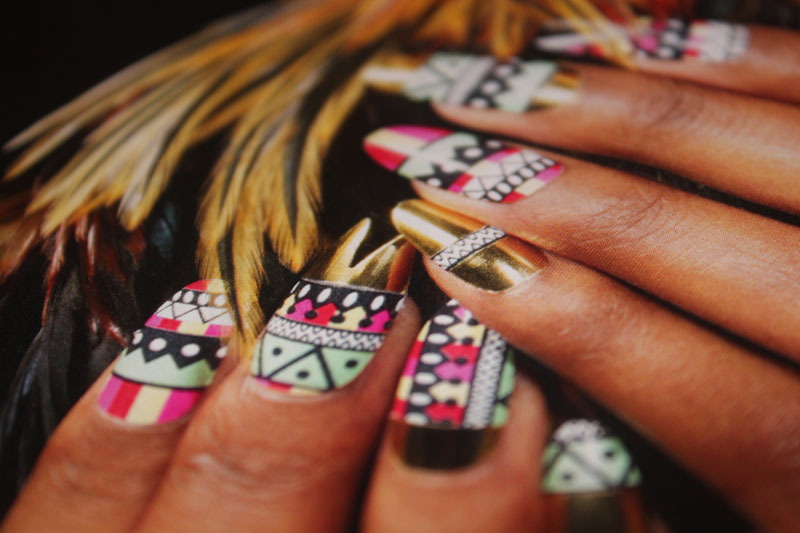 The Nail Rock Tribal Gold Designer Nail Wraps shall be mine. I have an unopened pack of Nail Rock Black and White Stripes only because my nails haven't been in the best state - getting back there! I'm missing nail art. Glitter has really grown on me since I managed to start growing my nails last year. Before I use to think grown women and glitter is childish. When used right, it looks fantastic! 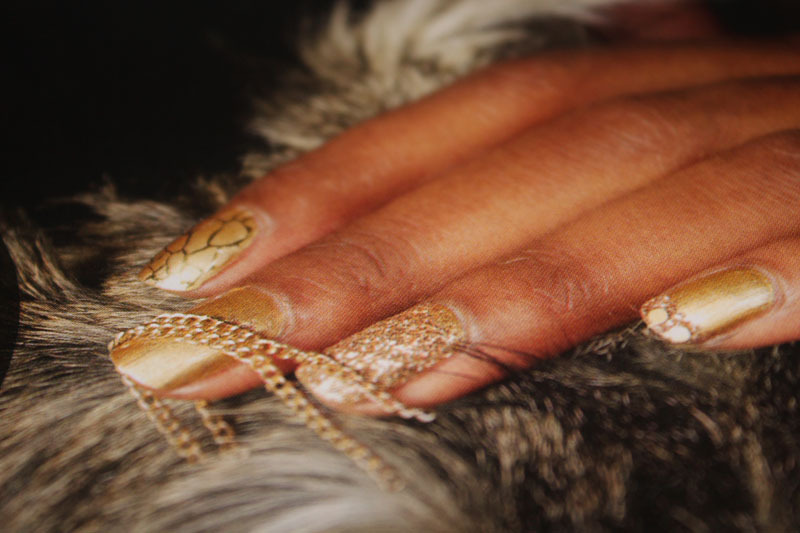 Another example are these nail designs each nail with a different look but all involving gold. Different fingers a different design, I like the chain effect but of course it wouldn't be practical daily and for someone like me who non stop has my fingers through my hair. These may have to be my favourite that I want to try. Think there really funky, gradient nail design / wrap or polish with clear nail nail tips with a CND ( creative nail design ) on the tips. Love them! 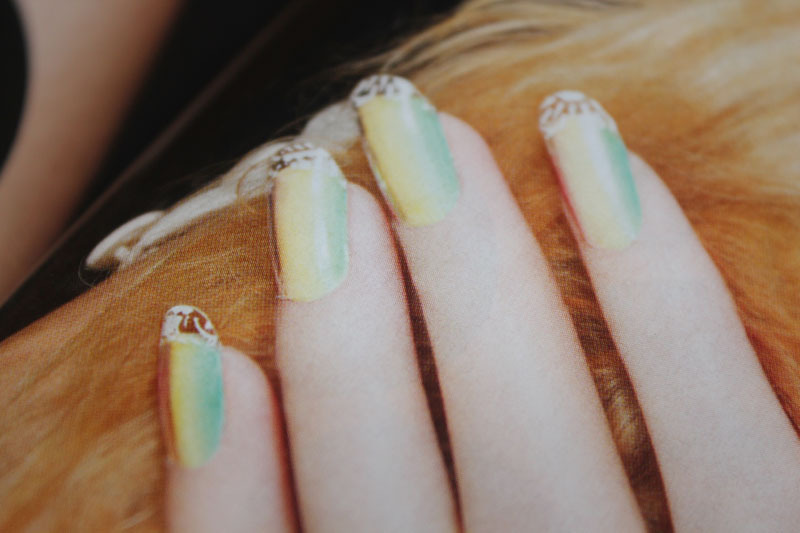 Are you a fan of nail art design ?